Brand NEW Ivory Size 6 - Mori Lee 1862 Wedding Dress by Madeline Gardner, complete with new tags still attached (NEVER WORN). Purchased at ‘Brides of Beecroft’ Sydney, as 2nd wedding dress, but never worn. Absolutely beautiful design, fit, and hand-stitched detail. 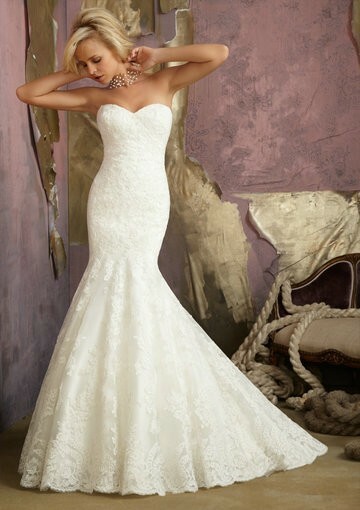 An exquisitely elegant, classic, and feminine gown, with sweetheart neckline and keyhole back detail. The lace coverlet can also be removed if strapless design desired.